Temperature sensing and control in harsh duty environments find no stricter examples than those presented by the US military in a variety of vehicles and systems. CPI Thermal switches have been deployed into these applications for over 70 years. Indeed, CPI ‘s first products back in the 1940’s were thermal switches for the Army. We’ve been producing high quality, high reliability, USA made thermal switches ever since. CPI thermal switches fall into three classes or technologies based on the temperature range of your application. Regardless of which technology you choose, design emphasis is on durability, reliability, and accuracy of set point. All these switches are made in the USA at our facilities in East Hanover New Jersey. PlugStat (0F – 650 Farenheit) – PlugStat contact movement is achieved via the different expansion rates of two metals fused together. 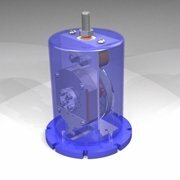 This is a slow-make-and-break device, which provides very close tolerance temperature sensing, with a small differential. 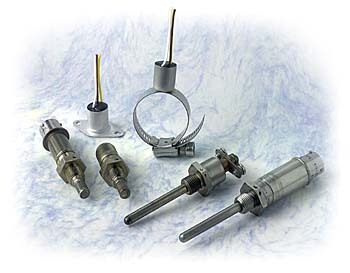 Set point range: 0°F-650F (-17.8°C-343°C) with mounting options. 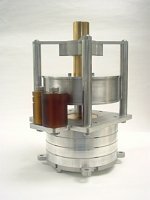 Rod & Tubes: (0°F – 1750° Farenheit) – Contact movement in the switches is achieved via differences in coefficients of expansion of two materials, in this case the outer tube and the internal rod. This product offers very rapid response time and very high temperature sensing. Set point range: 0°F-1750°F (-18.3°C-954°C). CPI Thermal Solve Unique Problems for US Military, and You. Whether your application is in a hot avionics bay, under the hood of a humvee, sitting on a motor or jet engine, inside an anti-missile gun system, or over a galley stove, CPI thermal switches perform in ways no other thermal switch can. Call us today to discuss your application.